On the River!!! This beautiful river retreat has a ton to offer. 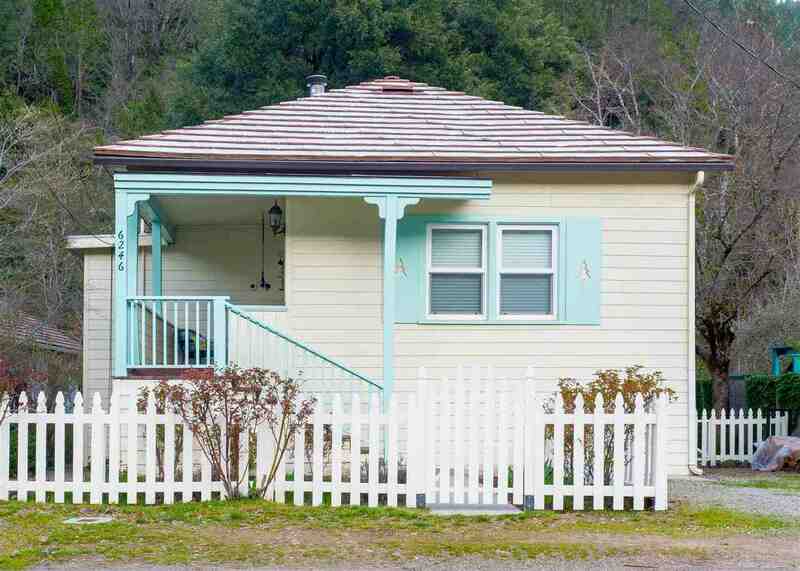 Welcoming you with a white picket fence and low maintenance landscaped yard. Situated on .13 acres. The home has two bedrooms and two and a half baths. Step out onto a private deck from the master bedroom over looking the Sacramento River. The second bedroom offers its own bathroom. The bonus room offers the view and sound of the river and would be perfect for a third bedroom. Enjoy cooking in the charming kitchen with all the essential necessities. The living room opens to the spacious dining room with a built-in hutch. The home has a full-length basement, with a finished room perfect for extra storage. Enjoy the view of the mountains from the front porch or head to the backyard that is right on the river. Fish from your own backyard. This breathtaking home is a must see!! !